More than two dozen works by artist members of the Western Massachusetts Illustrators Guild, a group of professional illustrators working in the Connecticut River Valley, celebrating the forthcoming Amazing World of Dr. Seuss Museum. 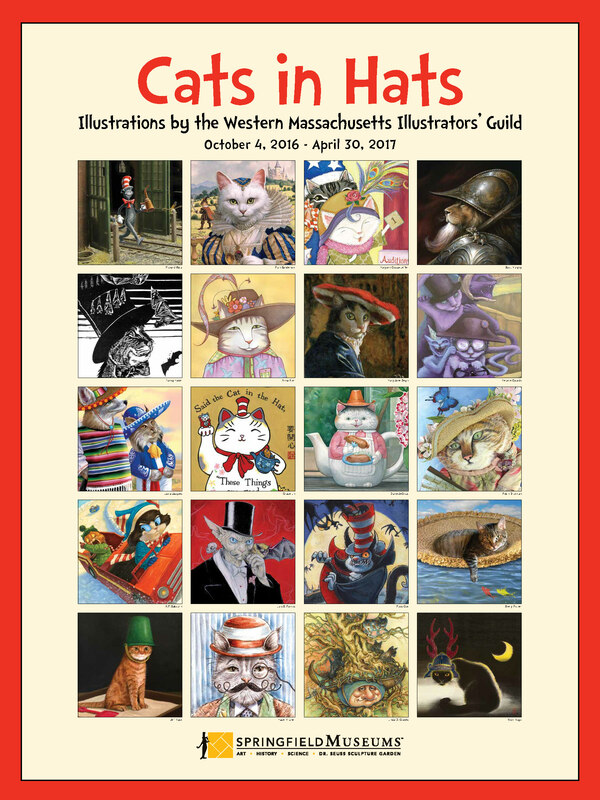 The Western Massachusetts Illustrators’ Guild includes some of the region’s best-known illustrators, including Diane deGroat, Ruth Sanderson, and Jane Yolen, among others. 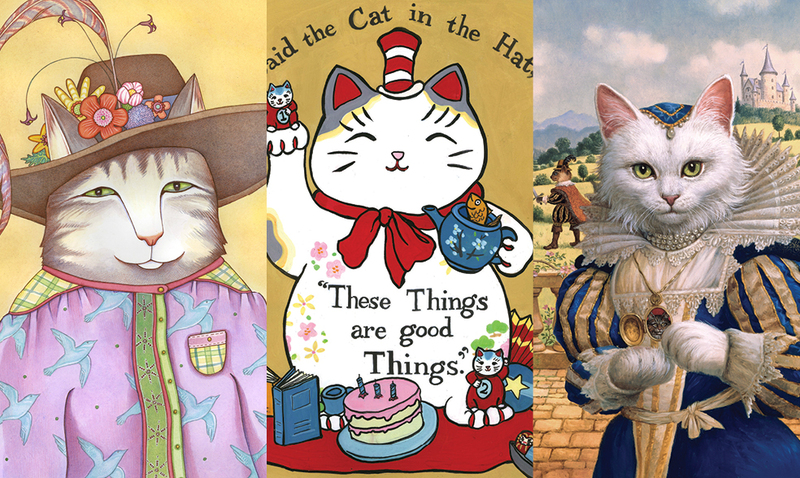 Their artistic styles range from children’s books to fantasy art to editorial pieces and beyond, and this diversity of methods and the size of its membership make the group a dynamic and active resource for illustration. A special sculpture installation adds a three-dimensional element to the exhibition. An interactive space for visitors within the exhibit includes a special “Cat Walk” scavenger hunt highlighting hidden cats located around the Museums’ campus, a Cat “Paw-trait” Wall–Selfie Photo Booth with a whimsical hats and cat ears try-on, and Cat-Toons cartoon area. Take a closer look at the special exhibit and find the felines hidden in our collections!